Join us for a tour of the latest exciting arrivals! MAGICO - We are incredibly excited to have been chosen to represent one of the premier loudspeaker manufacturers in the world today. MAGICO loudspeakers feature an impressive array of esoteric materials and advanced manufacturing processes to craft speakers that are both incredibly accurate and immensely involving on an emotional level. I have yet to hear a speaker that captures more of the subtly and nuance of the recording while at the same time conveying the intent and emotion of the music. Simply put, MAGICO speakers communicate the musical event without addition or subtraction of information – exactly what a speaker should do. Please visit Our Featured Product Page for a full overview and my thoughts about these stunning loudspeakers. Better yet, call us to arrange for a personal demonstration! JEFF ROWLAND DESIGNS - Complimenting our Magico S3 Mk 2 speakers is a Rowland signal chain consisting of their 925 monoblock power amplifiers, Corus preamplifier with the companion PSU SuperCap power supply and the brand new, hotly anticipated Conductor phono preamplifier. Shortly after bringing in the Magico line we felt their companion system deserved a bit of an upgrade. What started as a moderate refresh ballooned into a complete update. You know how that works, right - one thing led to another, and another, and another - typical audiophile modus operandi! Anyway, we're super happy with the results. I mention the system changes as an introduction to the new Conductor phono preamplifier. Jeff Rowland has long been a dyed-in-the-wool analog fanatic, so vinyl fans have waited, somewhat impatiently, for a dedicated phono preamp from The Man. With Jeff's perfectionist's mindset, this was not a project that would be rushed to market - "there will be no wine until it's time." It's time! The Conductor is unique in design. The chassis can accommodate up to four modules (either MM or MC) allowing the user to configure it for their specific needs. Most users will populate the unit with a single module, audiophiles with both MM and MC cartridges, or those with multiple tonearms, can install the number and type of modules needed. The Conductor goes for $9800 with one module. It can be purchased sans power supply (deduct $900) for connection to the SuperCap PSU if you have one for your Rowland Corus preamplifier. There are some additional options, so best to give us a call so we can help you find the best configuration for your needs. The Conductor rolled in here a few weeks back, and even though we're on a break-in cycle with the unit, it sounds terrific! The "sound" is typical Rowland, which is to say, it doesn't have a discernable character. There is no "house sound" or "sonic flavor" to describe the brand, Rowland gear simply amplifies and passes the signal without adding a signature of its own. IMO, that's the ideal (especially so with a phono preamp). As per usual with Rowland, there is absolute silence - not a hint of noise intrudes to mask subtle detail. You'll hear to the very core of the recording, amplifying everything the cartridge can pull out of the grooves. Typical Rowland construction quality - audio jewelry, outside and inside. ROGUE AUDIO - The ever-popular full-tube integrated amplifier, the Cronus Magnum, has undergone a significant upgrade! The outgoing, model II, was an outstanding product offering fantastic performance, exceptional reliability, and remarkable value. So how could Rogue improve on that? One of the most exciting upgrades is the ability to operate the CM3 in Triode mode. An external switch selects between ultra-linear (100WPC) and triode (60WPC) operation allowing the listener to enjoy the qualities and characteristics of each mode without powering down. 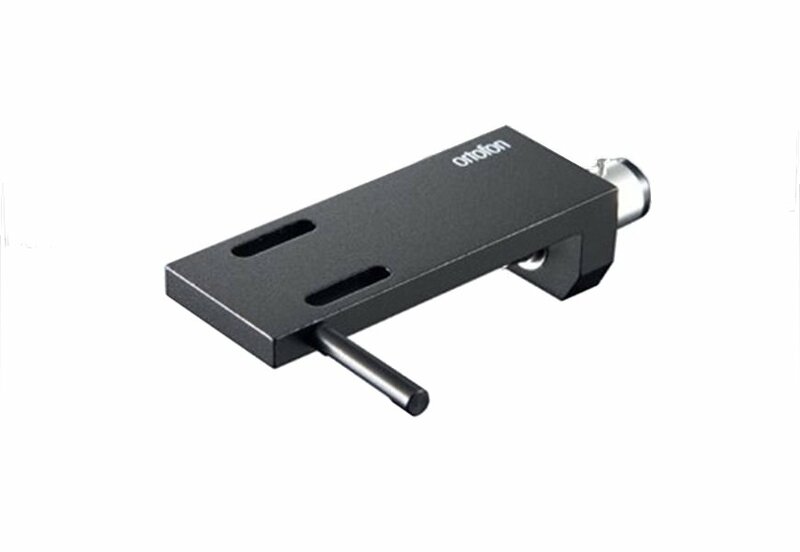 The CM3 also sports an entirely new phono section that can now accommodate low output cartridges. It features new ultra-low noise circuitry and now offers user-adjustable loading and selectable gain (44 dB or 58 dB). The headphone amplifier is also entirely new and is a direct derivative of Rogue’s award-winning RH-5 headphone amp. The new design is much more comprehensive and features MOSFET buffers on the outputs. Along with significantly enhanced performance, the robust new design will drive even the most demanding headphones. Line level circuitry has also been improved and now features a super low noise floor and better overall sonics. CHORD - Several exciting new products from Chord to talk about. The ever-inventive folks at Chord have struck another chord (sorry!) with the Qutest DAC, Hugo M-Scaler and Hugo TT2 DAC. 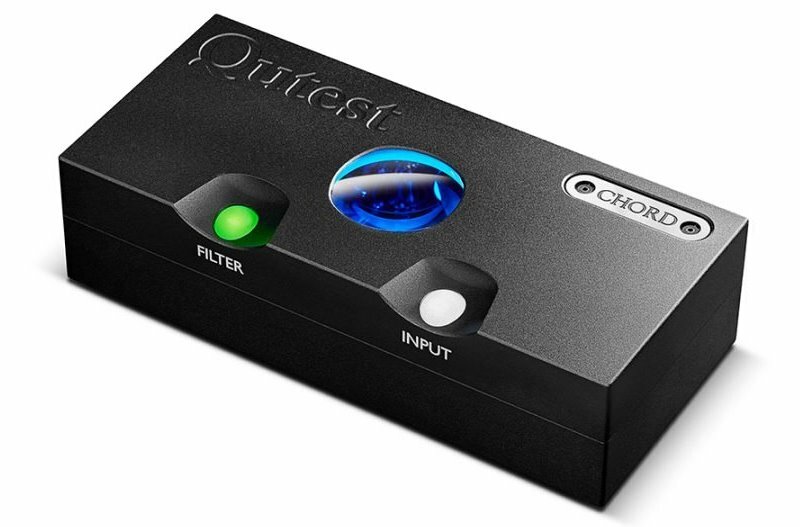 The Qutest DAC is Chord's most cost-effective option, coming in at $1895. The diminutive Qutest features beautifully machined casework hewn from a solid billet of aircraft aluminum. As they say, good things come in small packages, and that is indeed the case here! This fantastic piece employs the renowned Chord FPGA technology along with proprietary user-selectable frequency-shaping filters that imbues the little guy with a satisfying mix of resolution and listenability. IMO, the best sounding I've heard at the price point. Next up, the Hugo M-Scaler, is a highly advanced standalone upscaler capable of redefining sound quality from digital audio. It uses Rob Watts’ (Chord's Digital Design Consultant’s) unique filter technology, the most advanced in the world, to upscale standard 44.1kHz digital audio up to 705.6kHz (16x CD’s 44.1kHz native resolution), ready to be passed to a suitable DAC; Hugo M Scaler extends its upscaling performance to 768kHz (from 96kHz input data) for our dual-BNC-input DACs: DAVE, Qutest and the new Hugo TT 2. 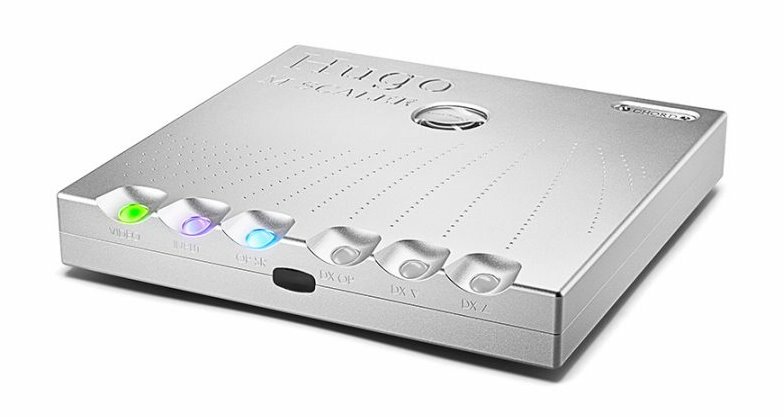 The Hugo M Scaler brings the unrivaled advantages of our ground-breaking FPGA-based WTA (Watts Transient Alignment) filtering technology to digitally connected audio devices, dramatically improving sound quality. Although optimized for use with selected Chord Electronics DACs (for the maximum 768kHz upscaling/decoding benefit), the Hugo M Scaler can be used with other DACs with suitable inputs, offering increased resolution up to their decoding capability. From Soundstage! Australia: "When it comes to self-contained digital components designed to take the medium in its fundamental form to a higher plane, there are very few options. First, to mind are dCS’, Esoteric’s and MSB Technology’s superb re-clocking and upsampling components (there are others, I’m sure), all of which, I’m confident, perform exceptionally. The Hugo M Scaler joins that category of product but offers a different approach. For starters, its price-of-admission is significantly lower, and while its chassis may be comparatively diminutive, it’s built to extremely high standards. The Hugo M Scaler doesn’t re-clock, per se, but it controls the signal via unique proprietary WTA algorithms that place it at the leading edge of digital manipulation. What’s more, it offers a robust features list while also allowing for the development of future functions activation leading to operational continuity within a Chord Electronics digital universe. For all of those reasons, but most importantly for its undeniable sonic enhancement of tonal and low-end foundations of your digital signal chain, I have to give the Chord Electronics Hugo M Scaler a very strong and enthusiastic recommendation. While it may require a minor readjustment to accept yet another device into the signal chain, there’s no denying the performance payoff more than justifies it. Here at SoundStage! Australia HQ, the Hugo M Scaler is a certified keeper. 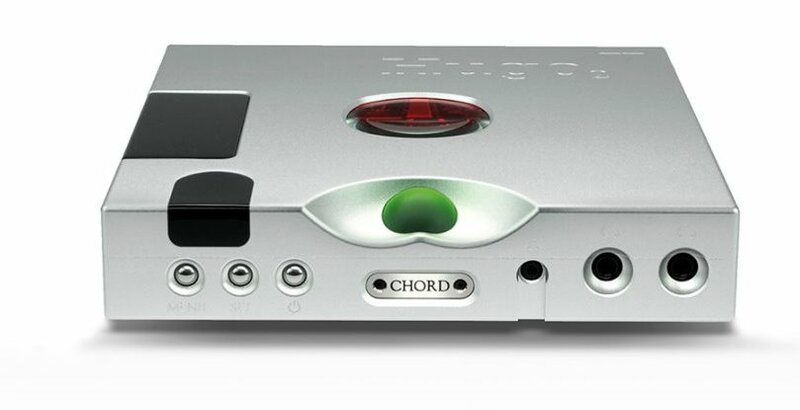 To partner the Hugo M-Scaler Hugo, or used as a stand-alone DAC, Chord introduces the Hugo TT2. TT 2 has been radically redesigned from the ground up, not only with beautiful new casework by Chief Designer, John Franks but with 5x the processing power of the original Hugo TT and double that of the multi-award-winning Hugo 2. Hugo TT 2 distills over 20 years of digital development by Rob Watts and takes advantage of the very latest technology. As expected, it delivers radically improved technical specifications and measurements across the board and exhibits drastic sonic benefits over its predecessor with 768kHz PCM and DSD 512 playback. Hugo TT 2 sets a new benchmark in tabletop audio, only being eclipsed by DAVE. Delving deeper, in comparison to the 256-tap filters that traditional chip DACs may run at, Hugo TT 2’s beating heart is a powerful Xilinx Artix 7 FPGA, custom-coded by Chord Electronics’ Rob Watts, with 86x 208MHz cores running in parallel to create an advanced 16FS WTA 1 filter with 98,304-taps. Double that of its multi-award winning transportable brother, Hugo 2 (49,152). Hugo TT 2 also benefits from an upgrade from a 4-element design to a 10-element design, which works in harmony with the radically upgraded FPGA and code to deliver unrivaled audio. A brand new high-power discreet output stage coupled with second-order noise-shaping integrated between the DAC output and filter is also employed to reduce distortion massively. Further improvements have also been made to the power delivery. Hugo TT 2 eschews the Li-Po battery power supply of the original and ushers in six supercapacitors capable of delivering huge, linear dynamic currents when the music demands it with a peak output of 5A, 9.3V RMS. Stereophile Class A: "Audio-Technica describes their new flagship, the moving-coil AT-ART1000, as a Direct Power System design: its moving coils are attached to the front of its cantilever, directly above the stylus—not to the inside end of the cantilever, as in most MCs. Thus does the AT-ART1000 carry the torch first lit by the coveted Neumann DST 62 pickup of 1962—and thus does it ensure that every deflection of the playback stylus results in a proportional change in signal amplitude, theoretically resulting in the lowest possible degree of compression of all phono cartridges. 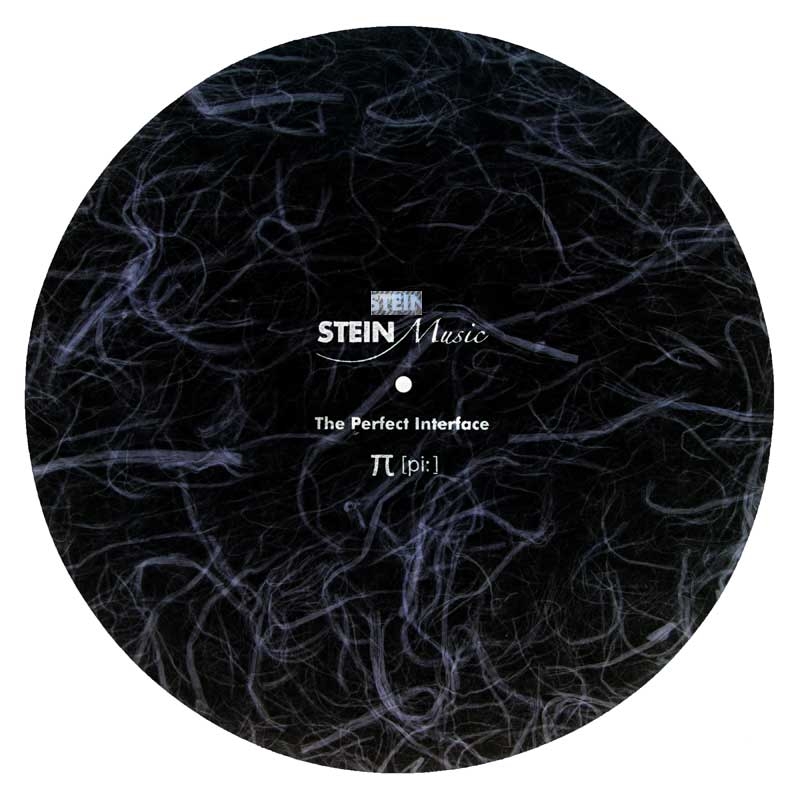 Sure enough, MF observed from the low-output (0.2mV) AT-ART1000 "microdynamic expression [that] was phenomenal: small shifts of emphasis in the strumming and drumming were clearly delineated." Mikey also praised the AT as "one of the most tonally neutral cartridges I've heard," concluding that, "If you can afford it, you need it!" (Vol.39 No.10)"
AURENDER: The new Aurender A100 Caching Music Server with internal MQA Certified DAC has just arrived. The A100 is the little brother to the A10 which has become one of the most popular Aurender models. With the A100 you simplify your system with one less component, one less digital cable, and one less power cord by combing the DAC and music server into a single chassis. The Aurender A100 does just that, marrying their outstanding music server technology with an equally impressive internal MQA-Certified DAC. The built-in volume control allows one to drive a power amp directly, allowing you to bypass a preamplifier if you like. With 2TB of internal hard disk drive and one 120GB solid-state drive cache for playback (an Aurender unique feature that improves performance), the A100 is the perfect solution for those replacing CD Players. The dedicated Aurender Conductor App (which controls all Aurender models) has been hailed by reviewers and users worldwide for its performance and intuitive operation. The iPad App was developed in house with managing large music databases in mind, providing exceptionally fast browsing and searching of your favorite music. All Aurender Servers and Players fully support the service. The Conductor app easily integrates music stored locally on the A100's hard drive, on an external USB stick or hard drive, a NAS drive and TIDAL and Qobuz music streaming services. You can build playlists containing files from all those sources, and the Aurender plays them seamlessly. You can also access internet radio stations around the world. IMO, the Aurender server/streamers are the best available today! ANALOG MAGIK - A while back I learned about a revolutionary software-based cartridge optimization system from Germany. 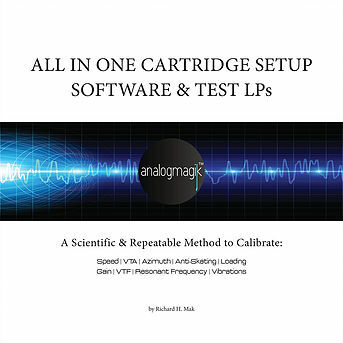 AnalogMagik is a Windows-based turntable/cartridge calibration software suite (and accompanying test LPs) designed by Richard H. Mak and a team of engineers. It offers a scientific and repeatable method of calibrating every cartridge setup parameter. 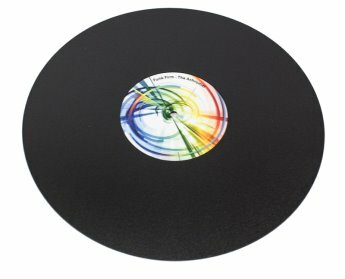 After you have performed a basic alignment on your turntable's cartridge using an appropriate alignment protractor (we recommend the SmartTractor or Feickert, purchased separately), the software and test LPs will help you optimize and fine-tune all setup parameters to achieve a more accurate analog cartridge setup. Following the onscreen instructions, the program guides you through all the test functions, tells you what "optimal" numbers to look for, and what cartridge adjustments you need to make to get there. AudioMagik believes that the optimum setting for any parameter will be achieved when the measured distortion is at its lowest point. The on-screen readout shows you - in real time - how adjustments setup affects distortion. So, fine-tuning anti-skating, for example, is done by tweaking the applied force until the distortion is at it's lowest point. Bingo! No more guessing about whether the setting is correct, it will be spot time-consuming. It works! We've set up many 'tables using this product, and the results have been amazing. 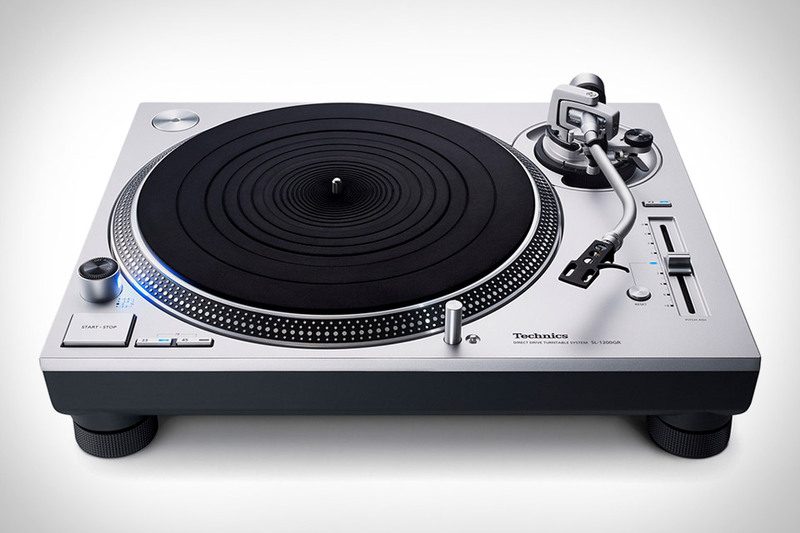 TECHNICS - The trio of turntables Technics have introduced since their re-entry into audio have been extremely popular here, dominating their respective price points, and with good reason. Handcrafted in Japan (in virtual clean room conditions), their turntables are precision instruments that are immaculately constructed and carefully inspected for tight quality control. 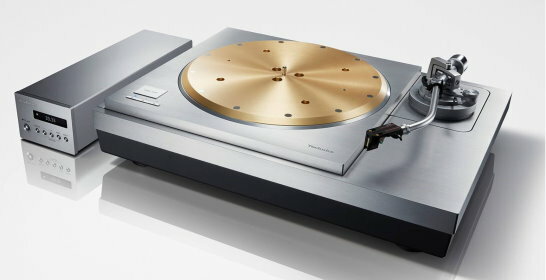 Technics turntables are the very definition of Japanese precision and attention to detail. The SL-1200G is a remarkable product offering amazing technology and performance at the price point. The "G" model employes Technics proprietary twin-rotor coreless direct-drive motor, an eleven-pound three-layer, hand-balanced platter and precision gimbaled tonearm with magnesium armtube all mounted on a special four-layer plinth and isolated with unique silicone isolation footers - and those are just the highlights! Frankly, there's not a more sophisticated turntable available at anywhere near the price — $4k, and worth much more. A bargain at $1695, the SL-1200GR distills the technology of the "G" model into a more affordable package. 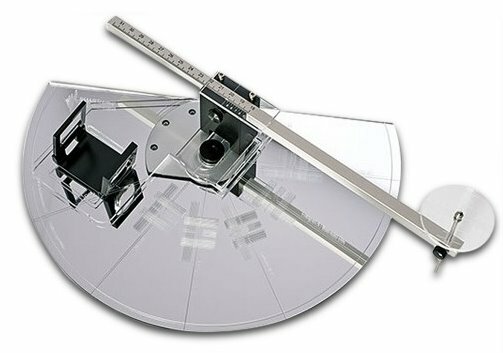 The technology is all there - coreless direct drive motor, two-layer platter, and three-layer plinth assembly, precision gimbal tonearm with an aluminum armtube. 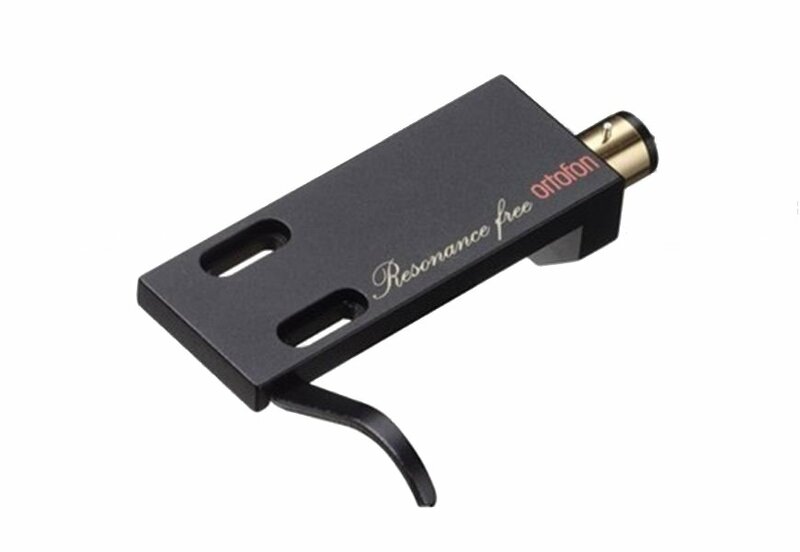 Mount an excellent cartridge (Popular here are: Ortofon Bronze, Hana E, Clearaudio Performer or Grado Platinum) and you have a world-beater for under $2500! You can "hot rod" any of the Technics turntables by changing the headshell and mat, adding a clamp and carefully selecting external cables. Note: See our article on Analog Accessories for more details. And now for the Big Kahuna, the top-of-the-line SL-1000R and SP-10R turntables. The SP-10R is motor and speed controller, only, allowing you to choose a plinth and tonearm of your liking. The SL-1000R is a complete, cartridge-ready, turntable that is 88 pounds of awesomeness! With technology like no other, immaculate camera-like finish and attention to detail, along with remarkable performance, the SL-1000R is a remarkable tour de force. On our demo SL-1000R we installed the wonderful van den Hul Crimson Stradavarius MC cartridge and a set of the Wireworld Platinum Eclipse Series 8 tonearm cables and topped it all off with the new graphite mat from Oswald's Mills Audio for an absolutely killer combo! PARASOUND: Over the last year, Parasound has introduced no less than seven new products! For more than twenty years Parasound has been a name synonymous with unmatched value. Their electronics are respected for both performance and reliability and compete with significantly more expensive products. The company's flagship Halo line benefits from the design prowess of the legendary John Curl who has worked with Parasound as a consultant for many years. His input has greatly influenced their designs and is one of the reasons for the praise they’ve received from the audiophile community. His hand is evident in the new power amplifiers, especially the incredible JC 5. The all-new statement JC 5 Stereo Power Amplifier is remarkable. No surprise that this John-Curl-designed beast is an excellent sounding amp, but I'm taken aback by just how this thing sings! The Halo JC-1 monoblock power amplifiers had spoiled us, but I think the JC 5 might be better! SoundStage! HI-FI January 2019: "Having heard the JC 5, I realize that it's worth every penny. Its sound delighted me in ways that few other components ever have. By any measure, the Halo JC 5 is a superb power amplifier. I can't recommend Parasound's Halo JC 5 highly enough." Hi-Fi News (UK) December 2019 - Outstanding Product Award - "This is one fast, hard-hitting amplifier with superb grip on speakers. The JC 5 will please even if you never explore the limits of its performance." Home Theater Review November 2018: "The JC 5 plays whatever you want the way it was meant to be played. For Parasound to have such stringent design criteria on the JC 5 is impressive indeed. 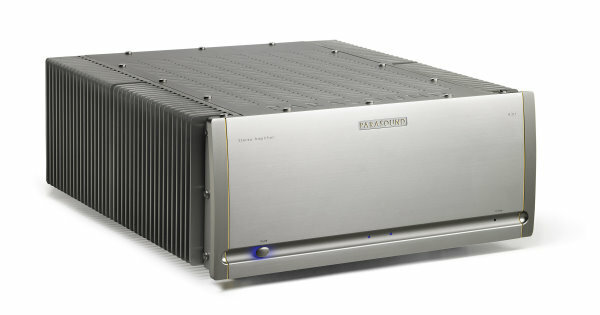 Like its big brother, the original JC 1, the Parasound JC 5 is a stunning amplifier." The A 21+ Power Amplifier is a bruiser! Power out the wazoo to control any load while retaining the ability to reproduce the subtlety and nuance of the music. 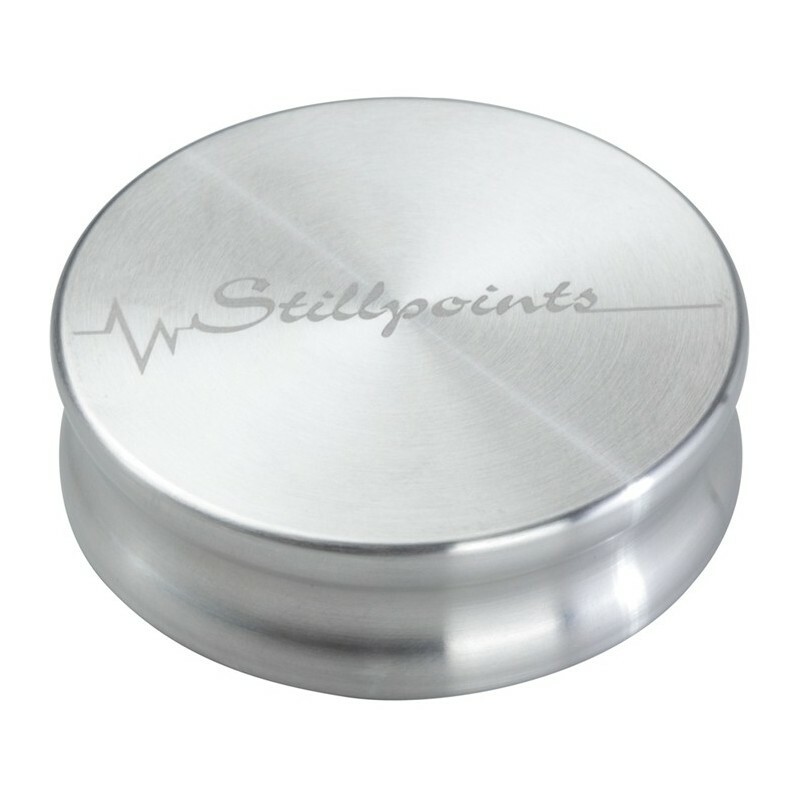 We've sold a lot of these to Magnepan owners who feel it is the best amplifier they've heard on Maggies for the price. I don't think you can find a better mix of power and finesse for $2995. Positive Feedback: "The A 21+ represents a new unparalleled value in amplifier performance. Details like soundstage depth, focus, and texture are where the A 21+ puts real distance from the A 21. The A 21+ is exceptional and provided an awe-striking feel." A23+ Power Amplifier, little brother to the A21+, is a remarkable bargain - this guy is far better than it has a right to be at $1495. Stereophile February 2019: "…brilliantly detailed Parasound." What HiFi (UK) December 2018: "This is a confident and enthusiastic amplifier that's just fun to listen to." 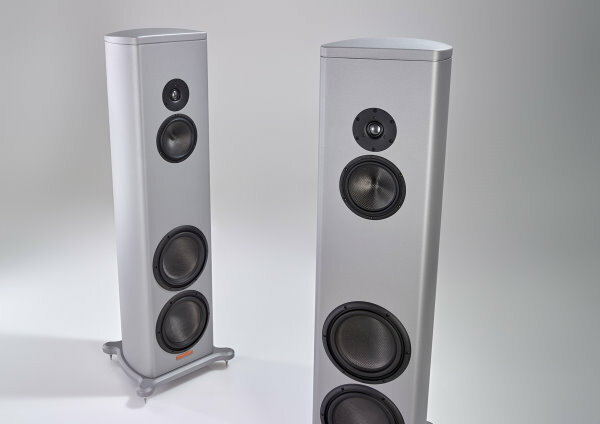 Stereo+ (Norway): "Together, the Parasound P 6 and A 23+ are dynamite. Pure sonic magic with brilliant dynamics, delicious midrange and impressive resolution. To get such good sound for the price of this duo seems almost unnatural. 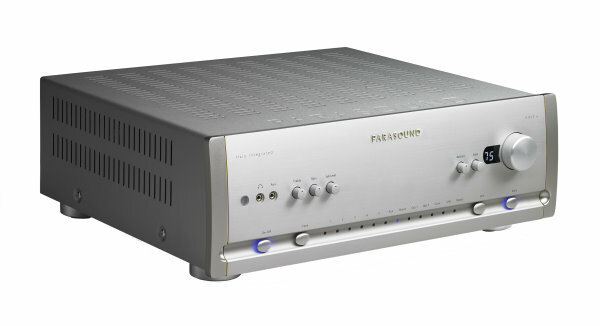 One incredibly appealing preamp-amplifier package from Parasound." Over the past year, we’ve sampled a number of new and exciting analog-related products. Some qualify as tweaks and some I would use a stronger term to describe; indispensable! To those new findings, I’ll add some old favorites to round out the groups. Also, I’ll be preparing a separate product comparison page that can be updated as new accessories become available. I’m grouping products into categories, making comparisons and allowing you to focus on a particular area you may want to address. Those are clamps and weight, mats, headshells, phono cables, and LP cleaning products (which will be discussed separately in another article). I think we can all agree that our high-end audio hobby (affliction, habit, addiction, neuroses, etc.) is very subjective. What one person enjoys, irritates the next. There is/will never be one product that will please 100% of listeners. The complexity of an analog replay system further muddies the waters, making unanimity of opinion even more unlikely. When comparing a single component, such an amplifier, preamplifier, DAC, etc., the variables are limited to external considerations; system components and the room itself. While those are exceptionally important, at least the item under consideration is a constant. The analog playback system, on the other hand, is a particularly complex beast. Turntables are “systems” in and of themselves that employ multiple components, each interacting with one another. So many elements make up the turntable system that judging one specific part of the assemblage without considering the other constituents, is virtually impossible. Add to that the most influential variable of all, the phono cartridge, and you have a compilation of disparate elements that make consensus very, very difficult. So, with those caveats in mind, let’s wade into these treacherous waters. Record Interface - The record interface plays a pivotal role in defining the sonic character of an analog replay system. When designing a turntable, the engineer considers the mat (or lack thereof) a key ingredient and a significant contributor to the finished product. The wide variety of turntable designs, in turn, results in a range of interfaces, from textile, leather, cork or elastomeric materials to direct contact with a bare platter, each differs in the character they impart. Changing mats can result in rather dramatic differences in virtually every sonic category including tonality, dimensionality, and dynamics, among others. So where do we start? The first step is deciding what you like about the sound of your turntable, and considering what you might want to change or enhance. The turntable itself will narrow the choices as some mats may not be appropriate due to weight or other considerations. Within the options available, speaking with your dealer or reading reviews and other listeners experiences can further focus the search. Ultimately, as we’ve stated, and repeat, the subjective aspect makes an absolute recommendation impossible, but I’d like to share some of the more effective products we’ve tried. 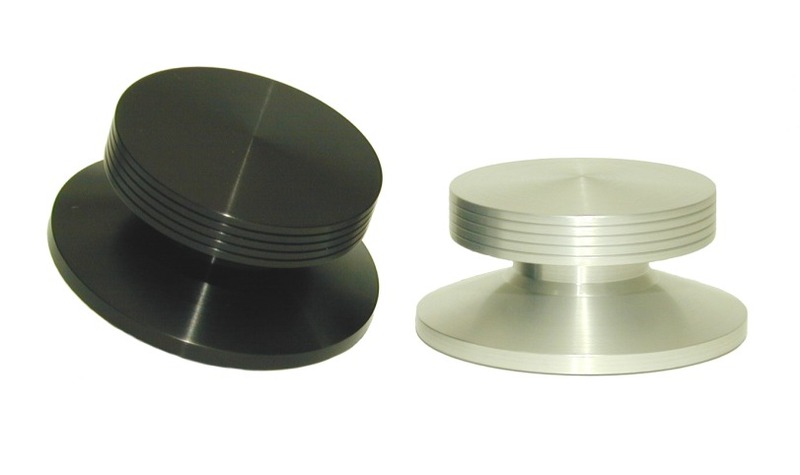 Clamps and Weights – Most every turntable can be improved by adding a record clamp or weight. Some turntable manufacturers frown on the accessory, but in virtually every case we’ve seen, listeners feel that the accessory offers a significant and worthwhile upgrade in performance. Why use a clamp or weight? 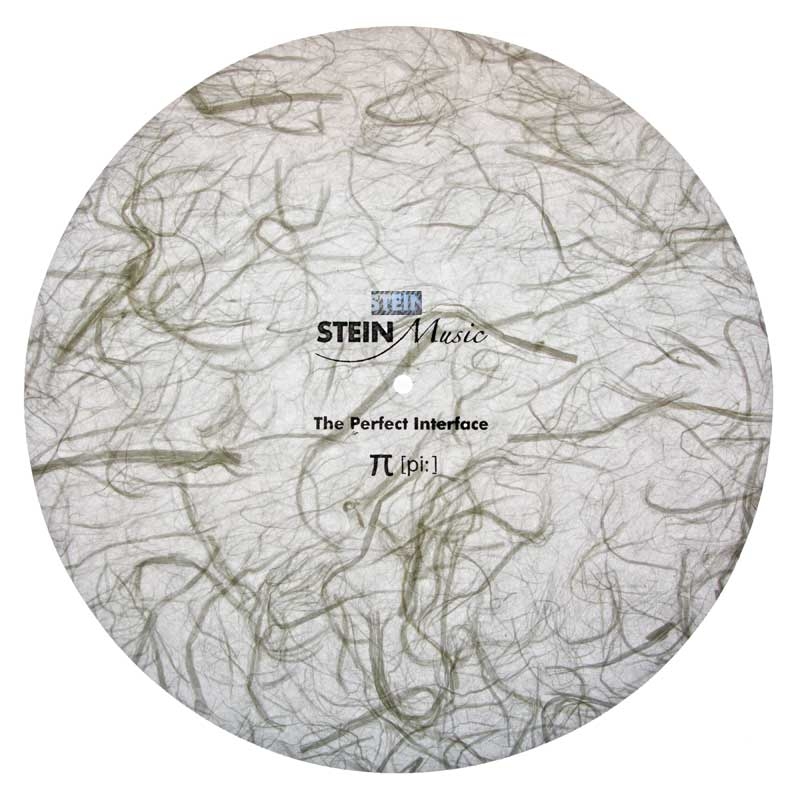 As the stylus traces the groove, vibrations are created within the vinyl. The vibrations are picked up by the cartridge and amplified along with the music. This spurious information creates a "masking" effect, reducing resolution by obscuring low-level detail. 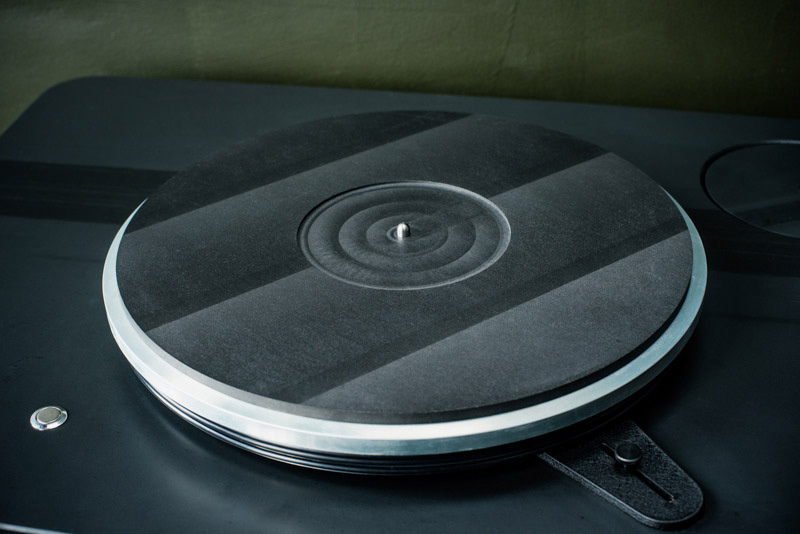 With most turntable designs, the turntable platter and/or mat is designed to funnel away and dissipate these vibrations, but to be effective, there must be an intimate bond between the record and platter. The tight coupling afforded by a good clamp or weight ensures the maximum transfer of energy occurs. The result is a cleaner, "quieter" sound with better resolution of subtle details. Over the years we’ve tried many clamps and weights of various designs that span a wide range of prices. From simple pucks made of wood, rubber or metal, to combinations thereof, often using exotic materials and unique construction techniques. They ALL have an effect, changing the sound in one way or another. But which ones produce consistently positive results? That narrows the field rather dramatically. In the modest price range, the KAB Super Record Grip Mk II ($38) is a good buy. 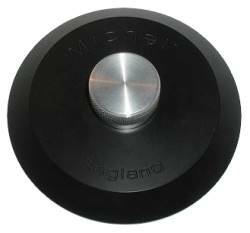 The design employs a two-piece molded frame with a spring rubber insert that grips the spindle. 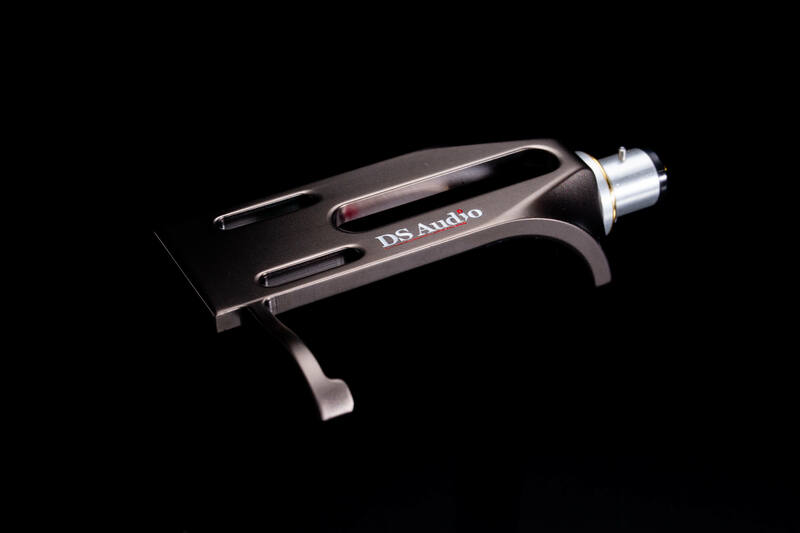 Headshells - Though most modern tonearms employ single-piece armwands, there is a resurgent interest in tonearms that utilize the so-called “universal” detachable headshell. 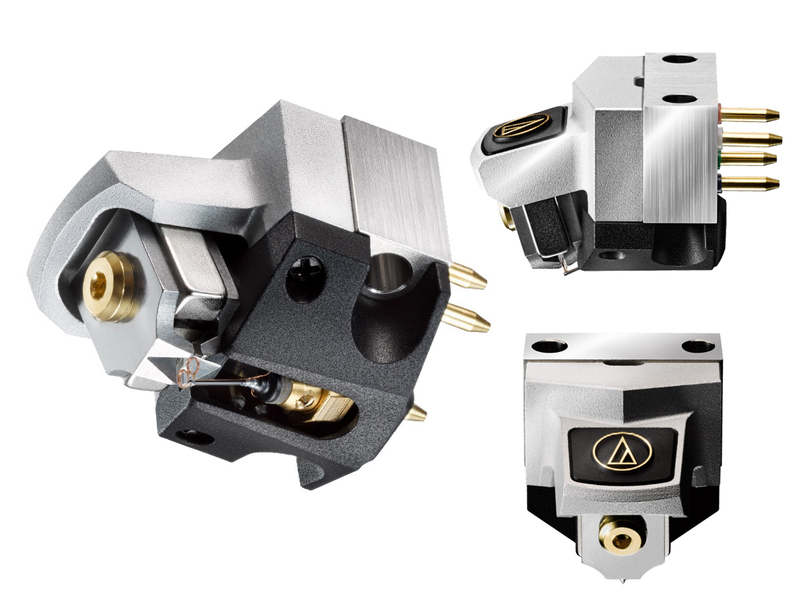 The new Technics turntables have been wildly popular here which has spurred our interest in evaluating detachable headshells. We’ve experimented with a number and will recount our findings here, but keep in mind that our experience is limited to trials on the Technics ‘tables (SL-1200GR, SL-1200G and SL-1000R). 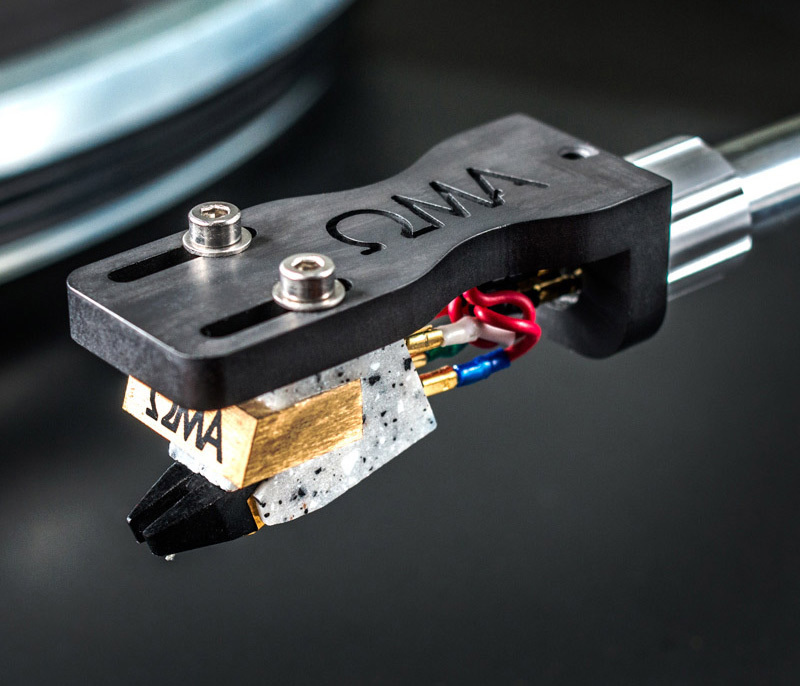 Tonearm Cables – Oh, my, is this ever a can of worms! 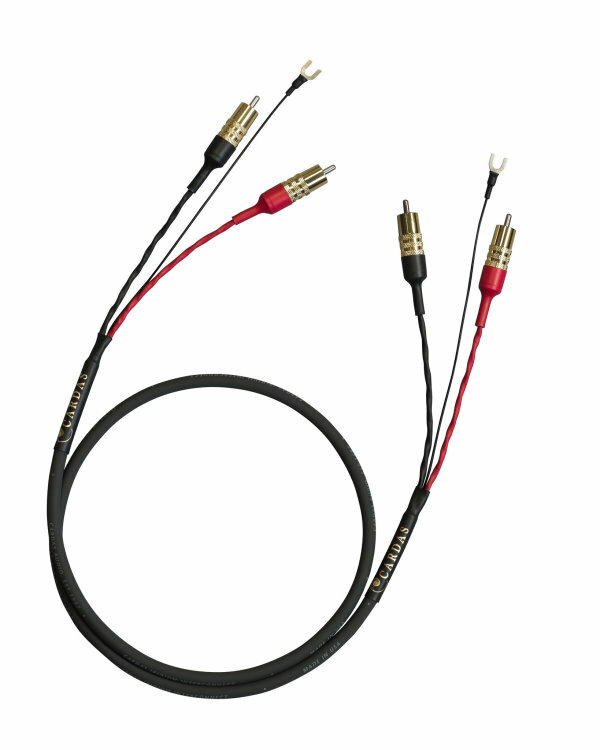 Anyone who has been in the hobby knows that cables are indeed a critical part of the signal chain, but also realizes there are so many variables that there will never be one cable that satisfies all listeners. 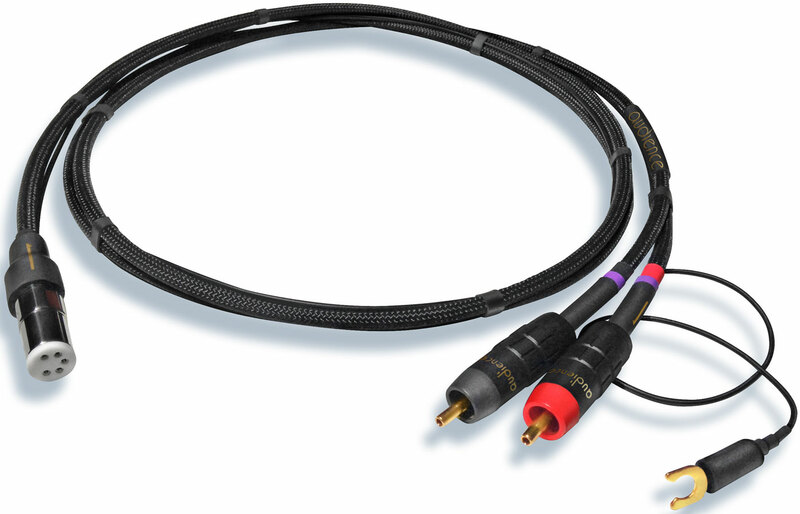 Indeed, many of use cables to “fine tune” the tonal balance or a system, or choose one brand/model over another based on specific qualities or characteristics they hear in their setup (which may not be as apparent or important in another system). The cables I will list here are by no means a registry of all the good options available – there are many. What I will focus on are cables that we have found to be good performers here and that have found acceptance among many of our customers. 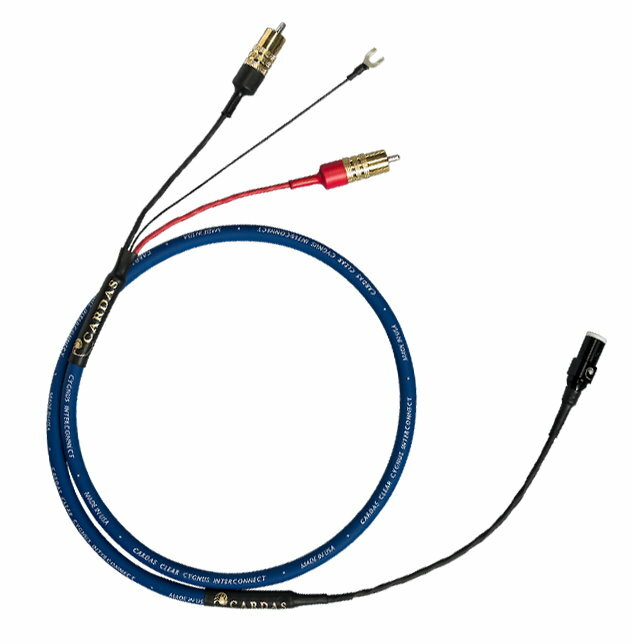 What we value here in a phono cable is one that doesn’t impart a significant amount of its own character (let’s call that a neutral tonal balance), off good overall resolution and is well shielded to prevent noise pickup (a mandatory property for a cable carrying the very low-level output from a phono cartridge). The listing is presented in alphabetical order and does not represent preference. That’s a wrap, for now anyway. As new products emerge, we will be amending this text from time to time, so check back. Lastly, please call us for help in assessing your particular system for our advice on finding the right product for your particular system.